Eintracht Frankfurt midfielder Marco Fabian’s stunning strike against Germany at the FIFA Confederations Cup has been voted as goal of the tournament. Bundesliga fans are well used to the Mexican scoring wonderful goals – witness his rocket from distance in the 3-1 defeat against Borussia Dortmund in April – but now he has been rewarded on the international stage. The 27-year-old netted with a thunderous strike against World Cup holders Germany at last month’s Confederations Cup in Russia and on Monday FIFA revealed that the goal had been recognised as the best of the tournament. There was just a minute left on the clock when Fabian lined up a shot from well over 30 yards out and the ball flew past Germany netminder Marc-Andre ter Stegen into the top corner. 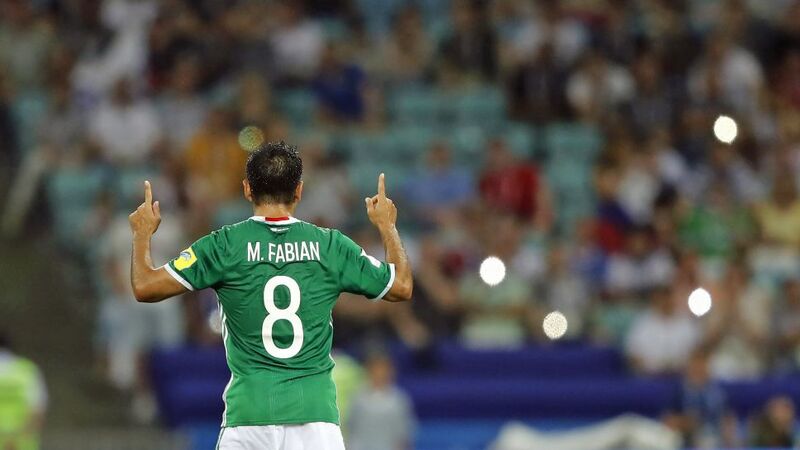 The goal proved only a consolation for Mexico as they lost 4-1 to the eventual champions but a whopping 55 per cent of supporters from across the world who voted selected Fabian’s rasping effort as the best in the competition. The Guadalajara native had an injury hit season in 2016/17 but he still managed seven goals in 24 Bundesliga matches – six of which came at home. Fans of the Eagles will hope there are many more magical moments to come from Fabian when his side get the new league campaign underway with a trip to Freiburg on Matchday 1. Watch: Fabian's Top 5 goals for Frankfurt! A week before that game in mid-August, the Eagles will be in action at lower league Erndtebrück in the first round of the DFB Cup – a competition Fabian’s side reached the final of last season.